Custom designed steel displays contrast the soft RF products and bring forth their elegance. 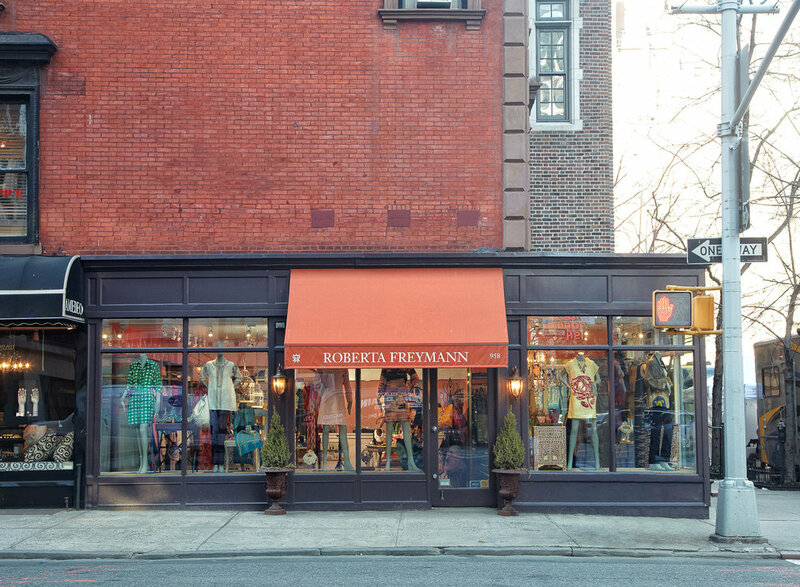 This women’s apparel brand asked MAD to design their boutique at Lexington Ave. and E. 70th Street in Manhattan’s Upper East Side. The landmark building required sensitive handling of exterior features, while the interior demanded an elegant and colorful design.